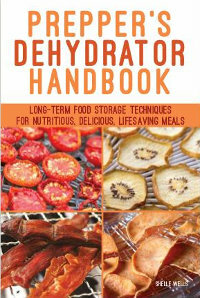 Nice review Leigh :) I've been wanting to dehydrate more, but my dehydrator isn't very good. One of these days I want to get one that actually works more efficiently, or learn other ways of doing it. We have an electric one and go in stints. I will use it a lot for a month or two and then it will sit in the basement for a couple years before I drag it out again. I use it a lot for backpacking or long canoe trips where weight and lack of refrigeration is a concern. One of my favorites is to make turkey jerky. Rain, a good dehydrator is important, but like you, I'd like to learn some other ways to dry foods, like build a solar dehydrator! 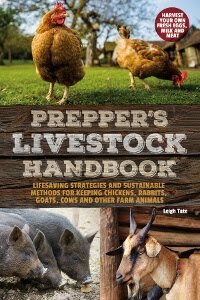 This sounds like a book that should make it to my sustainability collection - I have a dehydrator and admit that I don't really use it enough. 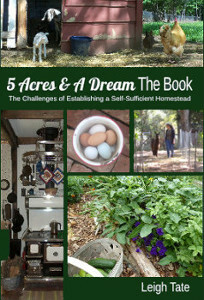 I am going to put this book on my wish list. Thanks for sharing. I use my dehydrator a lot. I just used it for drying chickweed yesterday. Pineapple is on my list to dehydrate next. That book sound wonderful and just what I need. I got a dehydrator at a garage sale and have never used it simply because I don't know how! LOL! I could research on the internet but I haven't done so as of yet. This would be a perfect book to get me off and running or dehydrating.